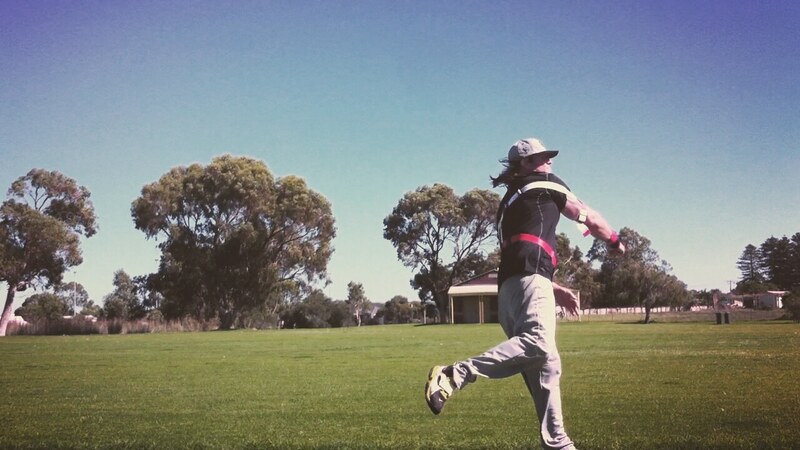 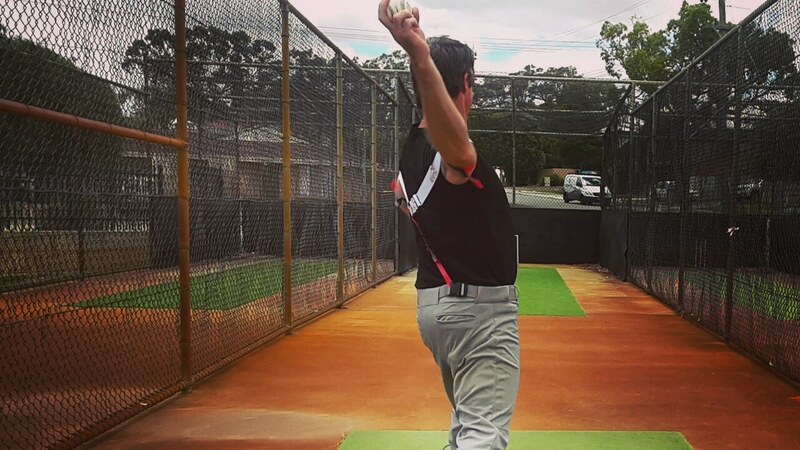 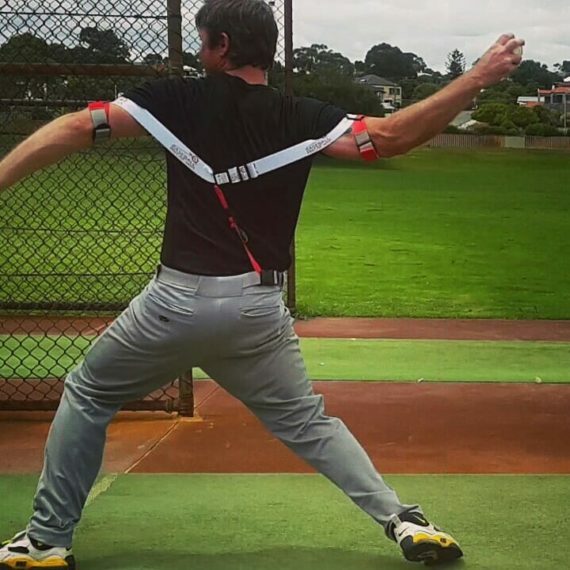 Our baseball training aid guides you to proper mechanics throughout your kinetic pitching chain. 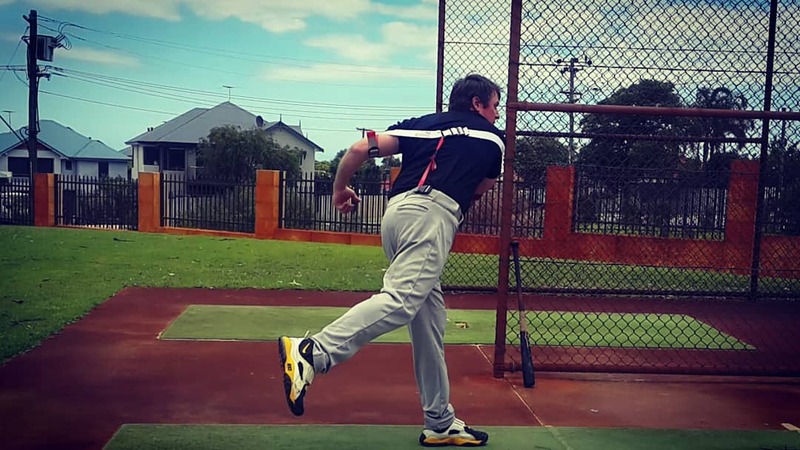 Exoprecise resistance strengthens critical pitching muscles, posterior deltoid, obliques, laterals, and abdominals. 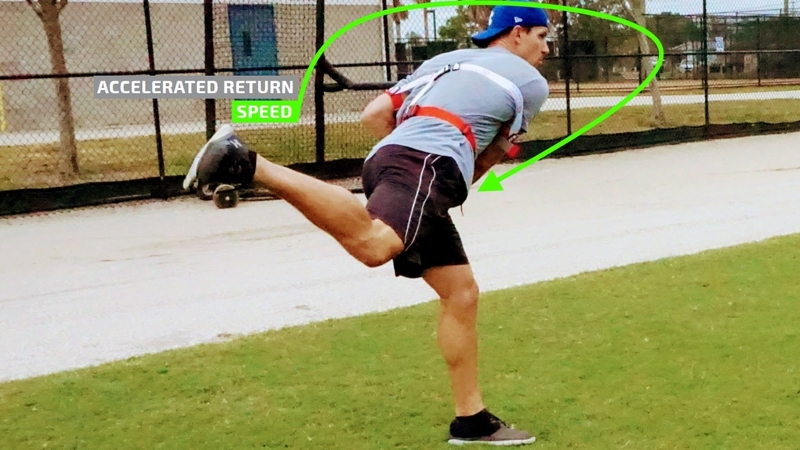 Acceleration transfers to momentum for powerful arm extension, meeting resistance; once again, improving pitching strength, and velocity on your follow through.